Did you know that food waste can be turned into renewable energy? The power generated by the methane gas captured from micro-organisms at the Joint Meeting of Union and Essex Counties wastewater treatment plant in New Jersey, part of the “food” the bugs digest is collected from grease traps at Rutgers University. Known as FOG (fats, oils and grease), the byproduct is collected by an industrial waste management company, carted from university dining halls, offloaded at the treatment plant, and served to millions microscopic critters. The process has large environmental and economic impacts. In a big industrial kitchen, Rutgers is serving thousands of meals for the university. All of the food prep, the cleaning of plates and dishes, comes through their sinks, makes their way into a trap. 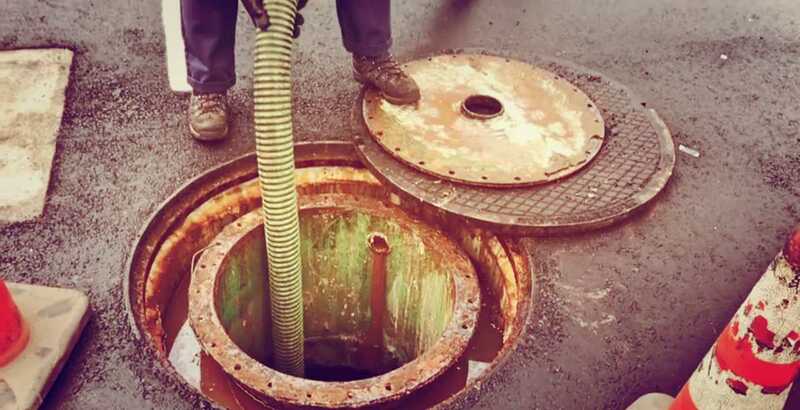 In the wash water that comes out is fats, oils and grease, things that you don’t want to get into your sewer because when that makes its way into your sewer, you end up clogging up sewer pipes, much like an artery would. You choke off the flow and you get sewer backups. The food waste sinks to the bottom of the trap, the fat and the oil floats to the top, and the relatively clean water makes it way out to the sewer, so they’re removing the separated grease and food waste that settled in the trap and didn’t make its way out to the sewer. For 10 years, Russell Reid has collected FOG at Rutgers and about 1,000 other locations throughout North and Central Jersey and brought the messy goop either to a wastewater treatment plant. They too feed the waste to bugs and generate renewable energy from their methane, which also is produced from their feasting on wastewater sludge. That gas is captured by digesters that feed into a filtering system that converts the raw methane into reusable natural gas, as well as electricity that is sent to a power distribution operation connected to nearby power lines. The fuel powers the plant’s three 800-kilowatt generators, creating up to 3.2 megawatts of electricity. The resulting 85-percent energy savings of $2 million annually are passed onto more than a half-million taxpayers in the New Jersey municipalities that they serve. The savings are transferred back to the users by maintaining a stable cost so that dramatic increases in user fees and equivalent dwelling units is not seen by the residents. They also utilize the energy that’s stored in that fats, oils and grease. As it’s broken down, it’s converted into gas as a fuel. This helps the environmental impact because the fuel source — the bio gas that’s generated — is used in a lean-burning system resulting in a lower carbon footprint, lower CO2 emissions, lower sulfur and nitrogen emissions into the atmosphere. During Superstorm Sandy in 2012, the plant remained operational, drawing power from its onsite generators. Not only is the process helping reduce fossil fuel consumption, but it also is an economic engine that creates jobs. If you’re looking for a green alternative to a commercial garbage disposal, consider installing The Drain Strainer. Invented by a former restaurant owner, The Drain Strainer is a food scrap collector that keeps your grease trap from getting clogged with food solids. The food waste can be disposed of or saved for compost or even turned into renewable energy.